Just CLICK on a workshop image to learn more and sign up to attend. you can sign up for email updates in the sidebar to your right..
We are always adding new and exiting events to this page. Let’s talk about keeping Christ the focus of Easter & share ideas of how your family can be a witness to others. Chat with other moms on Tuesday . . .
Special Guests: Rebecca Brandt of Mom’s Mustard Seeds & Cindy Dyer of Get Along Home will join us for the party! What do you think “Christian Leadership” approach? Share your thoughts and questions here! What do you think are the biggest pros and cons to the “Unschooling Approach” to homeschooling? Any more questions on this topic? Share your thoughts with us here! What did you think about our “Learning By Playing” workshop with Dr. Linda Silbert? Do you have further q’s? Ask them here! 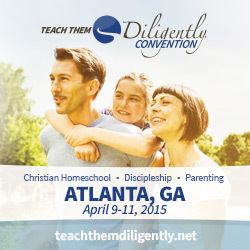 Missed our workshop on the “Principle Approach” to homeschooling? Have questions? Post them here on our Facebook page. Do you have issues with sibling rivalry in your home? Post your questions or tips for dealing with sibling rivalry on our Facebook page. organized at home with kids? online workshop? What did you think? Let us know what you thought of our chat with Andrew.